Expedition 53 crew members share their thoughts on being in orbit aboard the ISS during the Thanksgiving holiday. 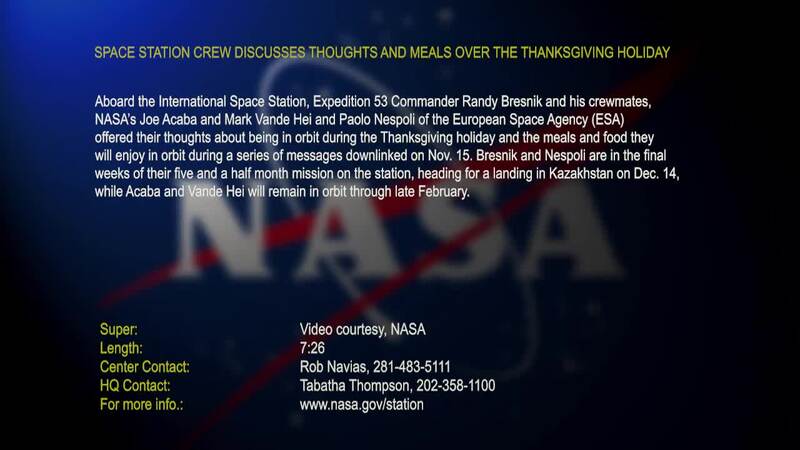 Expedition 53 Commander Randy Bresnik and his crew mates, NASA’s Joe Acaba and Mark Vande Hei and Paolo Nespoli of the European Space Agency (ESA) discuss the Thanksgiving holiday and the meals and food they will enjoy in orbit. Bresnik and Nespoli are in the final weeks of their mission on the ISS, while Acaba and Vande Hei will remain in orbit through late February. 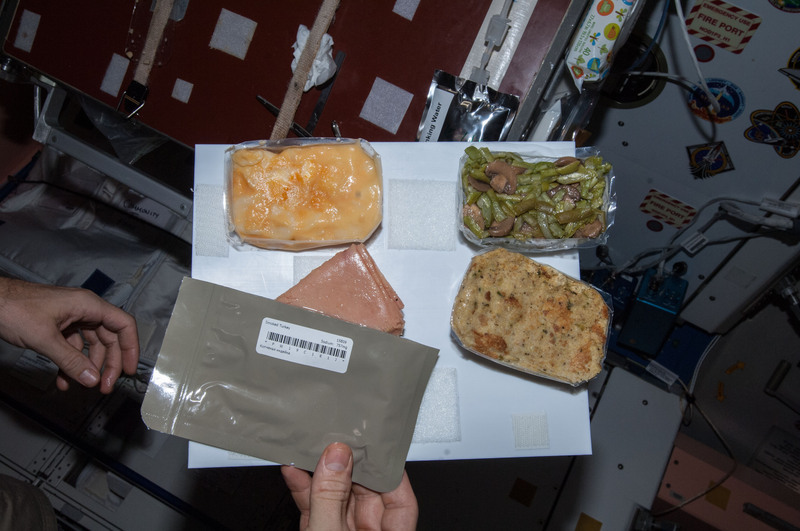 And in case you were wondering, this is what a Thanksgiving meal looks like in space.